Tallinn, Estonia Ferries ticket reservations, ferry timetables and passenger information for Estonia Ferries sailing to Tallin from Helsinki, St Petersburg, Stockholm and Mariehamn. Booking Tallinn, Estonia Ferries tickets has never been easier, compare all Estonia Ferries prices in real time and book the cheapest available Tallinn, Estonia Ferries tickets to Tallin from Helsinki, St Petersburg, Stockholm and Mariehamn online with instant confirmation. Travelling by Estonia Ferries is a quick, easy and stress free way to get there and back again. Book your cheap Tallinn, Estonia Ferries tickets to Tallin from Helsinki, St Petersburg, Stockholm and Mariehamn online and enjoy more choice and flexibility. With the latest Estonia Ferries crossing information and timetables for all sailings to Tallin from Helsinki, St Petersburg, Stockholm and Mariehamn including information on the ferry ports and useful tourist information about the destinations our detailed route and city maps will help you plot your Estonia Ferries ferry journey. If are travelling to Tallin from Helsinki, St Petersburg, Stockholm and Mariehamn then book a ferry crossing with Estonia Ferries and arrive at your destination refreshed, relaxed and happy. 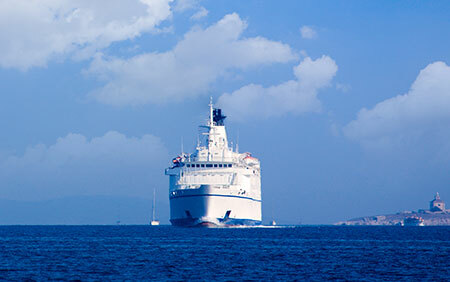 Estonia Ferries offers fantastic fares to Tallin from Helsinki, St Petersburg, Stockholm and Mariehamn ferry ports. Book Tallinn, Estonia Ferries Tickets to and from Helsinki, St Petersburg, Stockholm and Mariehamn online in advance to enjoy the cheapest available ferry ticket price. The price you see is the price you pay. There are no hidden extras or surprises such as added fuel surcharges or booking fees and we do not charge you anything extra for paying with a Visa Electron card. The price we quote you for your selected Estonia Ferries route, onboard accommodation and vehicle type is all you will pay, and that's a promise. To obtain a Tallinn, Estonia Ferries ticket price and book your ferry ticket securely online please use the real time ferry booking form on the left. Estonia is divided into the 15 counties (maakond) of Harjumaa, Hiiumaa, Ida-Virumaa, Jõgevamaa, Järvamaa, Läänemaa, Lääne-Virumaa, Põlvamaa, Pärnumaa, Raplamaa, Saaremaa, Tartumaa, Valgamaa, Viljandimaa, Võrumaa. Although the smallest of the Baltic countries, Estonia (Eesti) makes its presence felt in the region with its lovely seaside towns, quaint country villages and verdant forests and marshlands, all of which set the scene for discovering many cultural and natural gems. Yet Estonia is also known for magnificent castles, pristine islands and a cosmopolitan capital amid medieval splendour. It's no wonder Estonia is no longer Europe's best-kept secret. The Estonian capital Tallinn is a seaside city with plenty of options available for you. Tallinn boasts cobbled streets and rejuvenated 14th-century dwellings. Dozens of cafés and restaurants make for an atmospheric retreat after exploring historic churches and scenic ruins, galleries and boutiques. By night, stylish lounges and youthful nightclubs offer a glimpse of the city's sexier side.Some visitors have a hard time escaping Tallinn's undeniable allure, but outside the capital, the bucolic landscape hides numerous attractions. Lahemaa National Park in Northeastern Estonia has lush forests and beautiful coastal trails. South of Estonia's cosmopolitan spiritual centre, Tartu, is the hilltop town of Otepää with its laidback atmosphere and lovely ski trails. Handsome beach towns, spa resorts and medieval ruins lie scattered about the western shores of the country. Further west lies Estonia's biggest island, Saaremaa and on it the towns of Angla, Karja, Triigi & Tuhkana, where iconic windmills, 19th-century lighthouses, unspoilt beaches and yet more medieval ruins transport visitors to another time. Travelling to Estonia by sea is very popular with tourists – no wonder, as Tallinn is the closest capital to Helsinki and Stockholm and travelling by boat enables you to combine the fun of cruising with efficient transportation. Helsinki port in Finland is 80km from Tallinn and it takes less than 2 hours on a ferry. During the summer season (from May to September) boats sail every few hours.Stockholm ports in Sweden are 380km from Tallinn and boat travels once a day in both directions (you spend the night at sea).Travel time varies on different ferries – in general, the larger the boat, the longer the time. You have several dining options on each, cruise ships also include children playgrounds, beauty services, night-clubs and tax-free shops to ensure you have a fun trip, whether travelling with kids or enjoying a weekend getaway. Most of the Baltic Sea is within mobile coverage areas – though you may be required to go on deck, if trying to call from the Stockholm ferry while it is anchored for the night. Estonian networks are EMT, Elisa and Tele2 and they may overlap with Finnish networks – Telia Sonera and Elisa.Sweets, special treats, handicraft and alcohol are cheaper in Tallinn than in tax-free shops on boats. Perfumes and cosmetics are, in general, within same price range or cheaper on boats. To catch a ferry you will need a passport or ID-cards (for European citizens). Port of Tallinn uses four different terminals – the longest distance is between terminal A and terminal D, around 1km. The port is only 10 minutes walk from the Old Town and city centre. Tram: closest stop to Tallinn port is “Linnahall” and trams 1 and 2 will get you there. It is about 600m walk from the tram stop to terminals A, B and C (and around 1km to terminal D). Tram no 1 travels from Kadriorg, tram no 2 starts from Lasnamäe and drives past the international bus station. Find the suitable times from the tram schedules. Bus #2 (Mõigu–Reisisadam) takes you from the port to the city centre. It stops at Terminal A, Terminal D, the A. Laikmaa stop (next to Viru Keskus shopping centre) and then continues on to the airport. View the timetable of bus #2 here. Bus #3 (label: Veerenni-Randla) takes you closest to the port, stop “Linnahall” - it travels through the centre and stops by the Viru center, at Hobujaama stop. It is about 600m walk from the bus stop to terminals A, B and C and slightly more to terminal D. Schedule for bus no 3. Most Eurolines international bus lines have an “on-demand” stop in the Tallinn Port – in front of terminals A and D, also some bus lines from the city Pärnu (please ask for the “Tallinn Port” when booking a ticket). Taxi ranks are located right in front of the terminals B and D.
Choose a clearly marked taxi.According to Estonian law taxis are required to publish their full price list on the passenger’s side of the window and all customers are allowed to choose whichever taxi they prefer, regardless of their position in the line. Covering vast swaths of Estonia, forests, wooded meadows and under-appreciated bog form the backdrop to numerous activities. Hiking over wooded trails, horse riding along coastline and canoeing over flooded forests can link you to the ancient wilderness. There's also great bird-watching, cross-country skiing in winter and swimming in crystal-clear lakes and rivers in summer. This all makes a nice prelude to a sauna, one of the national pastimes. 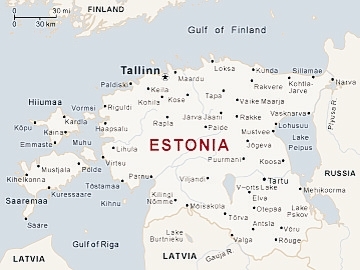 Estonia is a Baltic state in northeastern Europe. It has land borders with Latvia and Russia. With a coastline on the Baltic Sea and Gulf of Finland, Estonia also has sea borders with Finland and Sweden. Estonia is a Baltic gem offering visitors the chance to see an ex-Soviet occupied country that is now part of the European Union. Traces of the Soviet era are still there to be seen — e.g. Paldiski, a deserted Soviet army base that was once off-limits to Estonians themselves, can easily be visited on a day trip from the capital, Tallinn. Tallinn is the primary ferry port. It's medieval old town was built by the Germans in Middle Ages and is in magnificent condition, with the medieval city walls and towers almost completely intact and it rates as one of Europe's best medieval old towns. Ferries to Estonia are operated by Tallink, Viking Line and Eckerö Line. Helsinki port in Finland is 80km from Tallinn and it takes less than 2 hours on a ferry. Stockholm ports in Sweden are 380km from Tallinn and boat travels once a day in both directions (you spend the night at sea). Best Price Guarantee - We always offer you our lowest available Tallinn, Estonia Ferries ticket price and there are no hidden extras or surprises such as added fuel surcharges or booking fees and we also we do not charge you anything extra for paying with a Visa Electron card. The price we quote for your selected Estonia Ferries to or from Tallin from Helsinki, St Petersburg, Stockholm and Mariehamn, onboard accommodation and vehicle type is all you will pay, and that's a promise! In the unlikely event you find the same all inclusive Tallinn, Estonia Ferries ticket cheaper in the brochure of any other tour operator we promise that we will do our best to beat that price or offer you the choice of requesting a refund. To book Tallinn, Estonia Ferries tickets please click here. At ferryto.co.uk you are able to obtain live Tallinn, Estonia Ferries ticket prices, check availability and book Estonia Ferries car and passenger ferry tickets to Tallin from Helsinki, St Petersburg, Stockholm and Mariehamn at our lowest available ticket price. Ferryto.co.uk is part of the world's largest online ferry ticket distribution network providing the ability to book over 80 major European ferry operators including with Estonia Ferries to over 1,200 ferry routes throughout the UK, France, Spain, Ireland, Holland, Eastern Europe, the Mediterranean, the Baltic and North Africa.